Bienvenido Martínez-Navarro and Eudald Carbonell, researchers from the IPHES, will talk about them on Saturday, March 7th. Very few sites in the Iberian Peninsula such as Orce (Granada) and Atapuerca (Burgos) have the fortune to conserve valuable information in their archaeological record about our ancestors. Both are key sites to understand human evolution. For this reason are main protagonists of the I Encuentro con la Prehistoria en Lucena (Córdoba), carry out on March 7th and 8th. 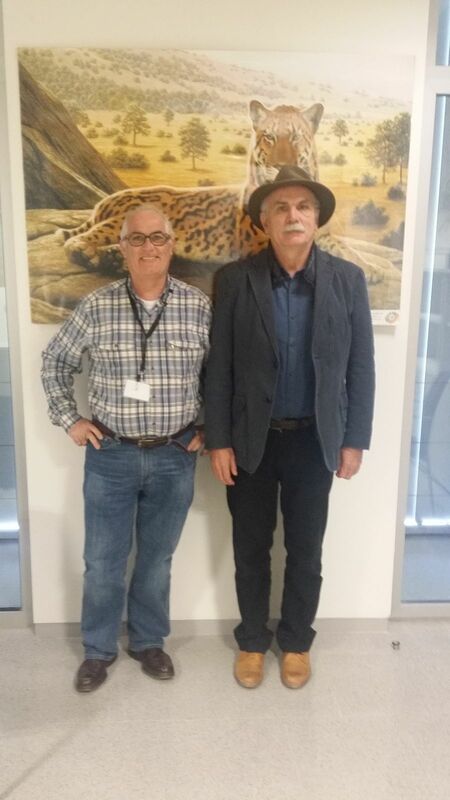 Presented by the paleontologist Bienvenido Martínez-Navarro, ICREA researcher at IPHES (Institut Català de Paleoecologia Humana i Evolució Social), co-director of excavations at Guadix-Baza (Orce) and the archaeologist Eudald Carbonell, director of this research and co-director of Atapuerca Project. The first one mentioned intervenes at 10.30 hrs and the second at 12 hrs on Saturday 7th. The event takes place in the Lucena auditorium and is organized by Cecilio Barroso, president of the Fundación Instituto de Investigación y Prehistoria y Evolución Humana (FIPHE).